Repetition Suppression represents a unique and personal entry into Dura’s catalog. 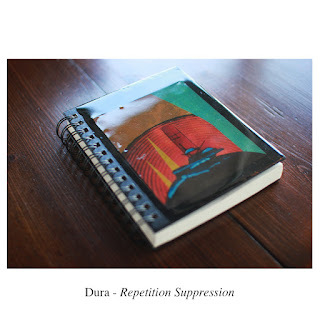 Dura has been putting out beautiful spacious records on some of our favorite labels over the years (Wounded Knife, Marmara, Geology...) Repetition Suppression was written and recorded over the course of a few years while he was moving back and readjusting to his hometown. The sound of the guitars, old amplifiers, reverb, and cymbals (masterfully provided by Matthew Daher) were blended with the sound of that environment on a sweltering, humid summer night while re-familiarizing himself with the familiar empty spaces. The name of the record reflects this, referring to one of the basic neural mechanisms of memory.